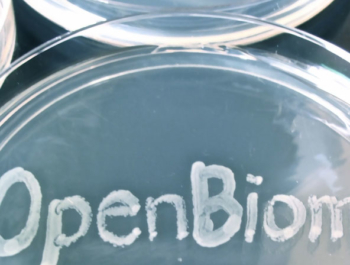 Grantee OpenBiome announced its inaugural global health study, which will evaluate microbial therapy as a treatment for pediatric severe acute malnutrition. This study, the first of its kind, will be supported by a grant of $135,000 from the Bill & Melinda Gates Foundation, a $120,000 grant from Child Relief International, and $23,000 from the Thrasher Research Fund. Severe acute malnutrition (SAM) is a life-threatening condition affecting over 20 million children under the age of 5 worldwide that causes patients to be severely underweight, stunted in growth, or have swelling in their extremities – and causes at least 1 million deaths each year. Over 35% of SAM cases do not respond to the standard treatment of nutrient-enhanced foods. “As we learn more about the many ways that the gut microbiome affects human health, we are discovering that there is, in particular, immense potential for FMT as a treatment tool for some of the greatest health challenges faced by children in low-resource settings,” said Majdi Osman, MD MPH, OpenBiome’s Clinical Program Director, Director of the Global Health Microbiome Initiative, and the principal investigator for this study.